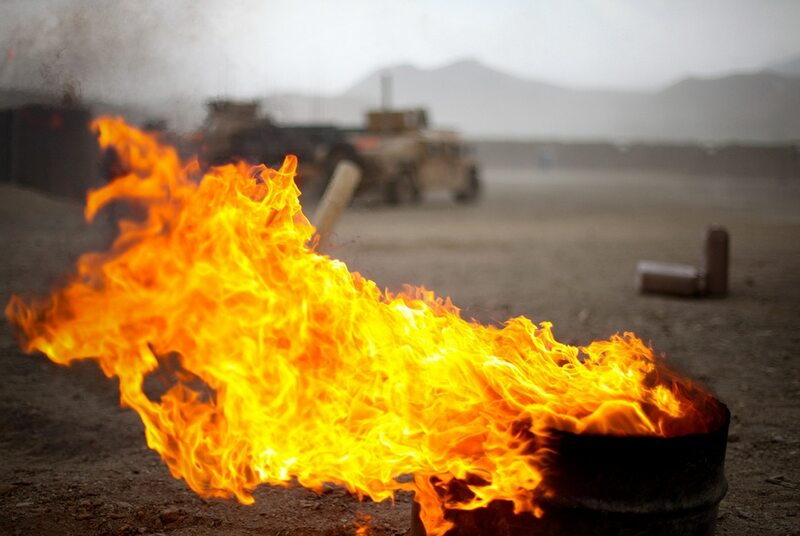 RICHMOND, Va. — Military veterans who claim that the use of open burn pits during the wars in Iraq and Afghanistan caused myriad health problems cannot move forward with dozens of lawsuits against a military contractor, a federal appeals court ruled Wednesday. A three-judge panel of the 4th U.S. Circuit Court of Appeals agreed with a federal judge in Maryland, who last year threw out the lawsuits brought against KBR, a former Halliburton Corp. subsidiary. More than 60 lawsuits allege that KBR’s practice of dumping tires, batteries, medical waste and other materials into open burn pits created harmful smoke that caused neurological problems, cancers and other health issues in more than 800 service members. The lawsuits, which were filed in multiple districts around the country and then consolidated, also alleged that at least 12 service members died from illnesses caused by the burn pits. Troops who worked at burn pits or were exposed to multiple dust storms in war zones have higher rates of respiratory illnesses and two rare, often fatal, lung diseases. Like the lower court judge, the appeals court panel found that the lawsuits are barred under a legal doctrine holding that courts are not equipped to decide political questions; only Congress and the president have the power to resolve those. The panel found that the military had unrestricted control over KBR so that KBR’s decisions on waste management and water services were “de facto military decisions” not appropriate for judicial review. Burke said she and the veterans are disappointed in the court’s ruling. She declined to say whether they plan to ask the U.S. Supreme Court to hear the case. KBR’s attorney, Warren Harris, told the court that the decision to use burn pits was made by the military, which also made decisions on where the pits would be located, what hours they would operate and what would be burned.